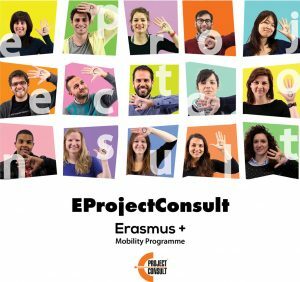 Internship in Barcellona Pozzo di Gotto? hell yeah! Barcellona Pozzo di Gotto is the city where the organization Eprojectconsult is located. The city is located at the coast of North- Sicilia, Province of Messina, and has around 50,000 inhabitants. The city is located 40 km from Messina towards Palermo and adjacent to a lot of fun places like Milazzo. At this moment we work with seven people in the office: Nino, Federica, Teruko, Gianfranco ( as staff), Dorota, Laura and me ( as interns). We will be working together for the following months and as interns we will get to know the organization, the field of European projects, the environment and the culture better. Before I came here, I did not really know what to think about the city and I emailed a lot of questions to Federica, Nino and a previous intern. I wanted to know where I was going to live for 4,5 months, which complications I would have to deal with and what I could do in my spare time. Just to picture something in mind. I received answers like, for example: “ I was really glad that we met some locals who had a car, because in Barcellona Pozzo di Gotto itself is almost nothing to do”. These kinds of statements were not really encouraging. Another thing was that I would arrive there in wintertime; January. Fortunately summertime, for me as Dutch girl, is near. The first week was OK, but not fun. I was practically alone with Dorota, in daytime all shops are closed and there were not many fun bars, restaurants etc. in our opinion. People seemed to stay inside, because we sometimes just walked down the streets with the two of us and nobody else. For us it was weird, because Barcellona is not a really small city, so you expect more. In spite of the fact that we had no heating (yet) in the apartment, we did not know people in Barcellona and all the others things I just mentioned, we were still positive because it was just the first week. The second week, indeed, was already a lot better. We started to get to know some local Sicilian guys of our age who took us to (birthday) parties and showed us the culture and environment. Parties with them are totally different then parties we have in our own country, but that also makes it special and interesting. Few people can talk English here, because there are not many tourists or international students. A language course is because of this highly recommended. However, I must say, hanging out with local people also makes you understand a lot of things in Italian. After 3,5 weeks of living here, we are starting to settle and create our own lifestyle here. We have met fun people, created a deeper connection with the people we already knew, we have been to other ( beautiful) cities like Messina and Palermo and we discovered good places to go out, which are almost part of Barcellona. For example Milazzo, takes a ten minute drive from the centre of Barcellona, is really fun to go out. A lot of bars, small ‘clubs’, a lot of people and a really nice view over the sea. For one moment, it almost felt like I was in New York. Settling down needs time and when you are not feeling comfortable somewhere, time goes really slowly. For me it took two weeks to settle down a little and to feel more comfortable; actually a pretty short time if you think about it twice. Also the bars/restaurants here in the city of Barcellona are becoming more valuable for me because we are going there with friends, getting to know the good places to have ‘aperitivo’, starting to develop Italian language skills. Conclusion: Life starts to be good. We have got a lot of plans to fulfill, a lot of parties to visit and a lot of good food and drinks to deal with. If you are hesitating about an internship here in Barcellona, please don’t! After three weeks here it has already been an adventure with a lot of new perspectives, people, laughter and more. Barcellona? Hell yeah!